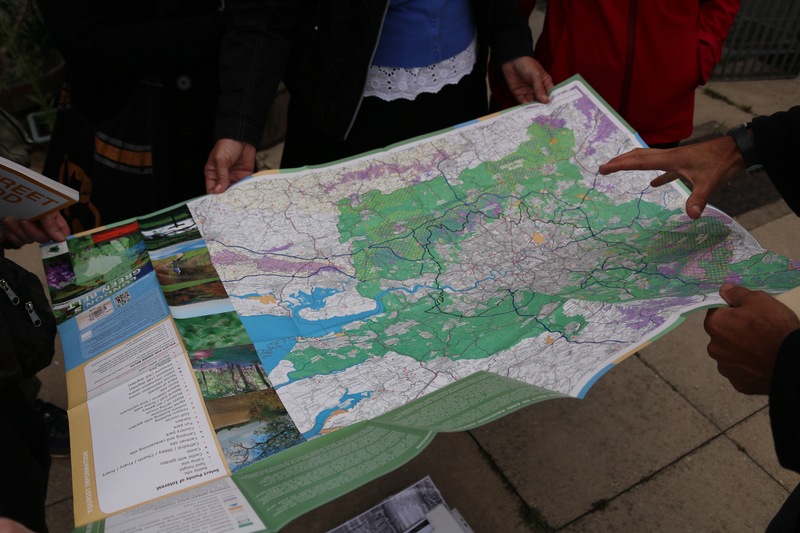 As part of unique Soundcamp Weekend at Stave Hill Ecology Park – InspiralLondon are delighted to have been invited to conduct this exploratory walk threading through Redriffe peninsula. Time and Start is confirmed – Saturday 4 May 2019 – leaving from London Bridge at 11 am to arrive at Stave Hill camp around 12.30pm for Lunch by Leon, and following this for opening of Soundcamp events – Platform’s The Tent That Can Hear. Sounds Interrupted ( 25 April – 10 May) is a live audio stream transmitted from a container roof at Stave Hill Ecological Park in Rotherhithe is played out from time to time on an array of speakers by the Reception at London Bridge Station. During Soundcamp weekend Reveil 6 makes a 24 hour loop of the earth at sunrise, relaying live sounds from a global network of soundcamps & streamers. Book Tickets for full weekend camping.